The National Weather Service has issued a Wind Advisory for the Shenandoah Valley from noon Thursday through 6 a.m. Friday. Sustained winds of 20 to 30 mph with gusts up to 50 mph are forecast for the advisory period. Augusta County, Staunton and Waynesboro are under a Freeze Watch overnight Saturday night into Sunday morning. The National Weather Service is projecting the South River to crest in Waynesboro Saturday well below flood stage. The National Weather Service forecast snow for Waynesboro on Saturday and again during the day on Monday, and aside from a few flurries the two events were duds. Then with the forecast calling for nothing, yeah, snow. The National Weather Service has issued a Wind Chill Advisory for Augusta County, Staunton and Waynesboro that will be in effect from 6 p.m. tonight through 8 a.m. Thursday. Augusta County, Staunton and Waynesboro are under a Winter Weather Advisory Saturday with a forecast of sleet and freezing rain. 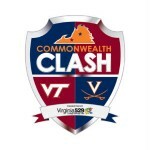 GameDay Preview: Can UVA football break long, long losing streak to Virginia Tech? It will be 28 degrees in Blacksburg at 8 p.m. Friday. The good weather news for UVA football is that wind isn’t supposed to be a factor. The National Weather Service forecast is for light winds, less than 5 mph. The National Weather Service has issued a Winter Storm Watch for Augusta County and much of the Shenandoah Valley for Wednesday with a forecast for five inches or more of snow possible. The National Weather Service has issued a freeze watch for Augusta County and much of the Shenandoah Valley and Central Virginia Sunday night into Monday morning. A flash flood watch is in effect for the Shenandoah Valley and Central Virginia tonight into Wednesday. The National Weather Service reports that heavy rainfall will spread tonight into Virginia from the south ahead of a strong cold front that will overspread the region in the overnight hours. From now to the end of daylight saving time on November 2 is a deadly time of year for east to west commuters due to the sun’s alignment during sunrise and sunset. The National Weather Service and AAA Mid-Atlantic provide safety tips to area drivers. It’s seem an anachronism – a Winter Weather Advisory in the spring. But the National Weather Service has the Shenandoah Valley under a Winter Weather Advisory on Tuesday with a forecast of 2-4 inches of snow. The National Weather Service has issued a Winter Storm Warning with the possibility of 6-12 inches of snow Sunday night into Monday morning. Winter Storm Warning: The snow is here! It’s snowing in the Valley, and will be for a while, according to the National Weather Service, which has now issued a Winter Storm Warning through 6 p.m. Enjoy the 60-degree temperatures this weekend. The National Weather Service has Augusta County, Staunton, Waynesboro and much of the Shenandoah Valley and Central Virginia on a Winter Storm Watch for overnight Sunday into Monday, with five inches or more of snow possible. Winter Weather Advisory: More snow on the way? Tuesday’s high temperature is supposed to reach the low 50s in the Shenandoah Valley. But Monday night, yet again, the Valley is in line for snow accumulation. A Winter Weather Advisory is in effect for Augusta County, Staunton and Waynesboro and also into the Harrisonburg-Rockingham region until 10 a.m. Saturday. The National Weather Service is forecasting 1-3 inches of snow for the region from the clipper system moving through the area. The National Weather Service has forecast 2-4 more inches of snow for Augusta County, Staunton, Waynesboro and most of the Shenandoah Valley and Central Virginia. The latest on the snow: 20 inches possible? The National Weather Service has revised its snow forecast for Augusta County, Staunton and Waynesboro, and it’s getting to be ridiculous now. The National Weather Service has issued a Winter Storm Warning beginning at 6 p.m. Wednesday with a forecast of up to a foot of snow possible in Augusta County, Staunton, Waynesboro and most of the Shenandoah Valley. Gov. Terry McAuliffe declared a state of emergency today, an action that authorizes state agencies to be ready to assist local governments in responding to the major snow storm that is forecast to hit the Commonwealth starting tomorrow. The National Weather Service has issued a Winter Storm Watch for the Shenandoah Valley in effect from Wednesday afternoon to Thursday afternoon. The forecast has Augusta County, Staunton and Waynesboro in line for 5 inches or more of snow. The National Weather Service has upgraded the Shenandoah Valley to a Winter Storm Warning with snow expected to begin around 4 a.m. Tuesday and continue into the early evening. The snow blanketing Waynesboro, Staunton and parts of Augusta County Thursday evening is a bit of a surprise. Not a surprise will be the bitter cold temperatures making their way to the Shenandoah Valley in the overnight hours. The National Weather Service has issued a Wind Chill Advisory for the Greater Augusta area through noon Friday. The National Weather Service has issued a Winter Weather Advisory for Augusta County, Staunton and Waynesboro beginning 5 a.m. Saturday. The forecast has the Central Shenandoah Valley in line for 2-4 inches of snow and sleet and ice accumulation of up to two-tenths of an inch through 1 a.m. Sunday.